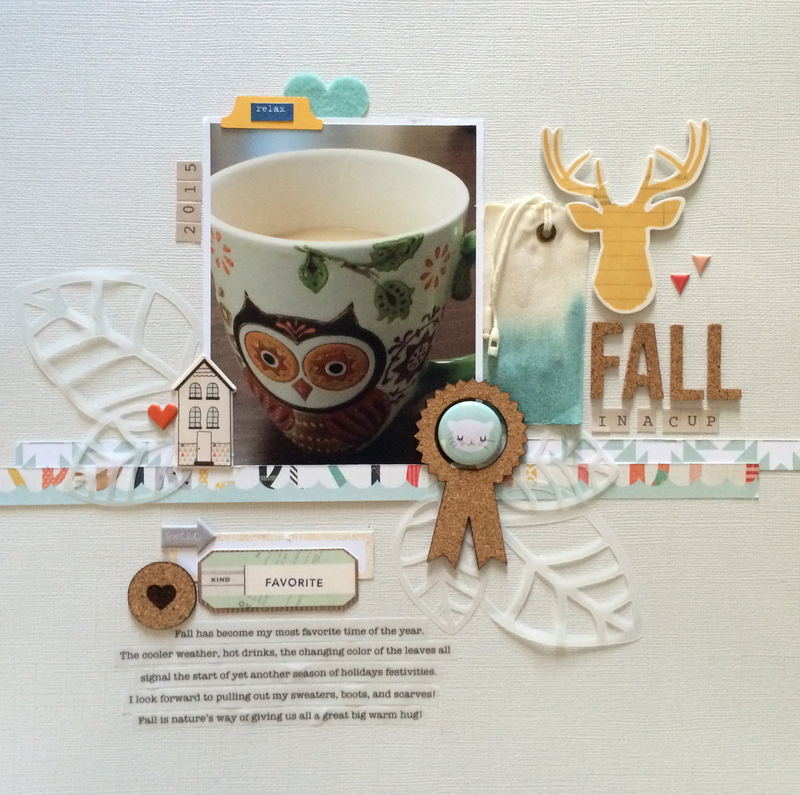 I am so proud to share my first design team layout for the Scraptastic Kit Club! To be honest, the pressure was on. The entire Scraptastic design team is amazing! 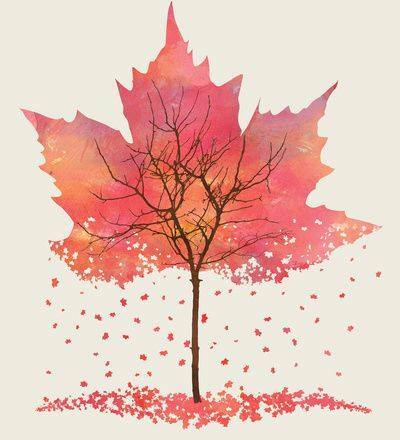 I love how the leaves are falling from the tree as depicted by the inspiration piece. There is a gentle flow that catches the eye. That’s what I wanted to emulated on my layout. Everything about the inspiration photo screams fall and cold weather! 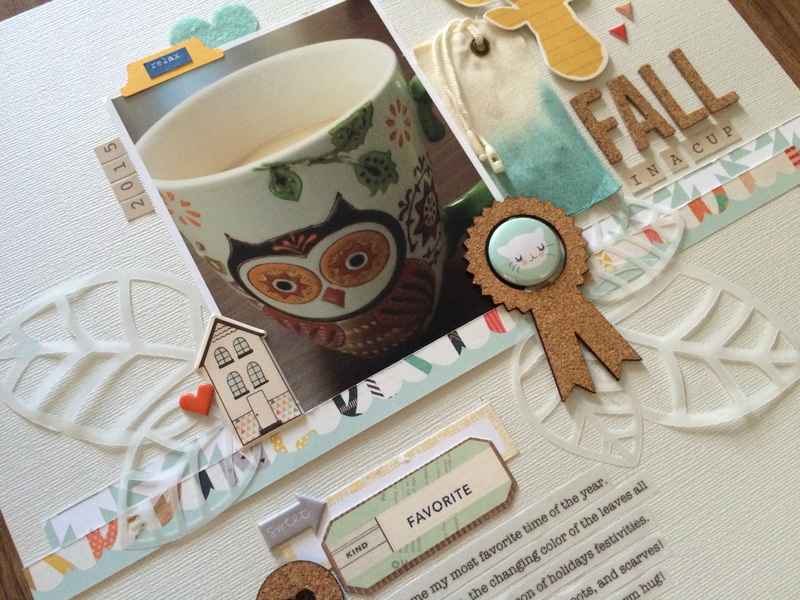 This layout features a photo of my favorite fall coffee cup. Over the past couple of years fall as been one of my favorite holidays (I’m normally a spring kind of girl). During the fall, I indulge is tasty hot beverages, adorn my favorite scarves, bake delicious goodies, and snuggle under warm blankets. I believe fall is nature’s way of giving us a great big hug! 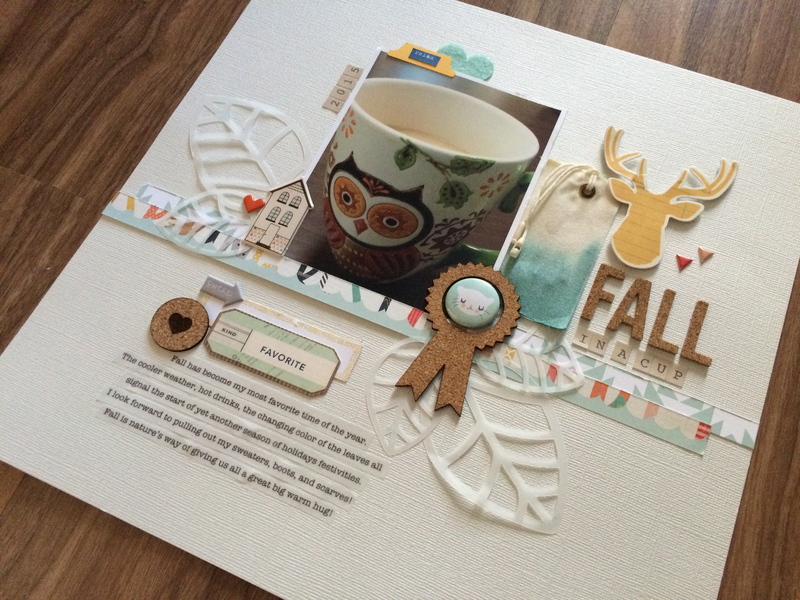 Check out the Scraptastic Blog for more product information and inspiration! Also find us on Pinterest! Here’s the process video for this layout! Enjoy! Special Announcement! I’m on the Team! This is just toooooooooooo stinking cute. I WANT that cup is so cute. I love the use of all the embellishments and the colors look great.